May | 2009 | Shelf Elf: read, write, rave. But I have never been good at patience. I have, however, always been pretty good at envy. Aside from an ARC of Kristin Cashore’s new book, Fire (which I don’t have, BTW, but I won’t get started about that too…), I have never wanted a sneak peek of a book more than I do with Catching Fire. But it’s not looking likely (*sniffle, sniffle*). So… instead I present a few of tidbits that might help you (and me) to stay patient a little while longer. Like, until September 1st, 2009. 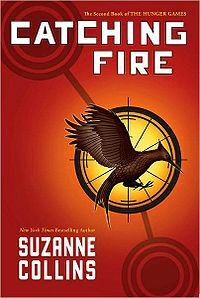 Scholastic has launched “The Burning Question,” a cool opportunity for readers to ask Suzanne Collins a question about the series. 3 questions will be selected and answered. Awesome. Jacket Whys has put together a wonderful post filled with Catching Fire-related links. Neat seeing the different covers from around the globe. I have to stop now, because in searching for further links I have discovered more and more uber-lucky bloggers who have scored ARCs of this book, and I don’t think I can continue to torture myself. This entry was posted in General on May 30, 2009 by shelfelf. 2) The narrator keeps on mispronouncing most words that are somewhat obscure / mildly literary so much so that I laugh out loud. How ’bout this? Ennui pronounced N – U – I, as in the letters N, U, I. Har har har. THANK YOU Macmillan audio fairies! I’m hoping this one won’t inspire guffaws. This entry was posted in Audiobooks on May 27, 2009 by shelfelf. It is my pleasure to welcome another amazing Class of 2k9 writer to Shelf Elf, Ann Haywood Leal. Ann’s book, Also Known as Harper is released today, and in celebration, her publisher has kindly offered 5 copies to give away to Shelf Elf readers. Yay Henry Holt! So… say something nice to Ann in a comment below, and I will draw 5 lucky winners. You will love this book. Read about how much I loved it here. Welcome to Shelf Elf Ann! Happy Release Day! Tell us about the moment you learned Harper’s story would be published. It was definitely surreal. My agent called me and said he’d had some interest, so he thought there might be an auction. I can remember going over the phone conversation in my head, thinking I must not have heard him right! When we got the formal offer from Henry Holt, I think I was actually shaking. Like with the phone conversation, I had to keep reading the e-mail over and over for it to register in my brain. I’d been waiting for this moment since I was about eleven, so I was ecstatic! Where did this story come from? For the past few years, I have volunteered at my local soup kitchen. When I agreed to volunteer, I had a completely different picture in my mind than what I actually saw when I got there. I thought I’d see grubby bum-in-the-alley type people. But what I saw were regular old men and women—and lots of families. It was before the economy took such a plunge, and a lot of these people had jobs and were hard workers, but were unable to make enough to make ends meet. The children I come across in my job as an elementary teacher have distinct advantages. But the kids who come into the soup kitchen are so grateful if you save them a special dessert. They are so humble. I guess you could say that Harper’s story came from the feeling I got from being around these children. Describe your writing process. Are you an outliner, or do you discover your story and your characters as you are writing? I’m not a big outliner, unless I’m revising—then I take a ton of notes in the margins of my manuscript, and all over my editorial letter. With the first draft I usually start with a character or an unusual setting. Once I have that, the story seems to materialize. When I was first starting to write Also Known as Harper, I was out for a run, and I passed a vacant lot. 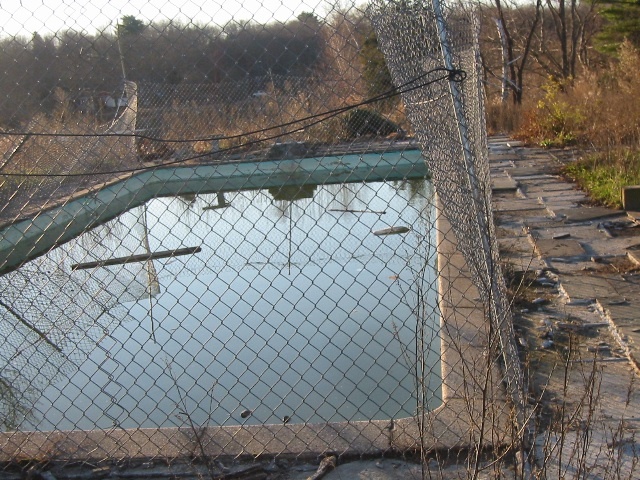 All that was left of the home was an old, crumbling swimming pool, partially filled with dirty rainwater. My family and I were driving by later that day, and I made my husband stop so I could take a picture of it. 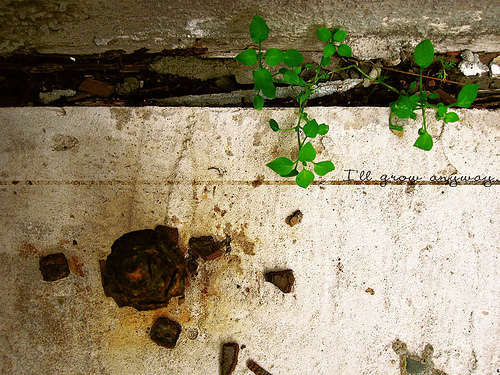 I was so intrigued by the look of it, all by itself in the vacant lot, and it ended up in the book. Lots of people with full-time jobs fantasize about writing a book. You actually did it! How do you manage to balance teaching and writing? I have written stories pretty much all my life. I can’t remember a time when I didn’t have a story brewing on paper or starting in my head. I think because of that, I’ve always made time to write. I take my journal and/or my laptop pretty much wherever I go. That way, if I end up with an unexpected chunk of time, I can write. I get up pretty early and I try to write for an hour or two before I go to school, then, again right after school. I’ve had to get creative at times. I’ve written on the floor in the hallway outside my daughter’s violin lesson, on an old wooden church pew while I was waiting for her religious education class, and in the car at the soccer field. The other day I was at the hardware store with my husband. We were waiting for some paint to be mixed and I sat down on a lawn furniture display chair and wrote! This entry was posted in Class of 2k9, Interviews on May 26, 2009 by shelfelf. (Copyright K. Millar, 2009. Please do not reprint without permission). This entry was posted in Poetry on May 25, 2009 by shelfelf. Sarah Miller has a new literary crush. You are going to be very, very jealous. I promise. I’m sure you’ve got a book that you’ve been meaning to read for SO long you feel like you’ll never, ever actually read it. That book for me is Siobhan Vivian’s A Little Friendly Advice. It is crazy how long it has been in my TBR pile. Miss Erin just hosted Siobhan for the Summer Blog Blast Tour. I swear that I will now read Siobhan’s book. Gail Carson Levine has just started a blog! Go say hi to her. Finally, big happy news in blogland. Kelly, of Big A, little a fame and fantastic-ness, is back bigtime with a brand new blog. At Crossover, Kelly will be focusing on “the adult book teens love, the teen book adults appreciate, and (very, very occasionally) that Middle Grade book adults read.”. So cool. Welcome back Kelly. This entry was posted in General on May 23, 2009 by shelfelf. Harper Lee Morgan wants to be a poet. Actually, she’s already a poet. She just wants to have a chance to share her poems onstage, at her school’s poetry contest. She writes about her experiences, and she has had a lot of pretty difficult ones in her young life. Her Daddy walked out on her family soon after her little baby sister died. Now her Mama has to work even harder to provide for Harper and her brother Hemingway. It seems like things couldn’t be much worse, but then the family gets evicted from their house. Harper ends up having to stay home from school to care for Hemingway, right at the time when she wants to be there most, to get her poems all perfect for the poetry contest. Feeling stuck and forced into circumstances no one would choose, Harper discovers a lot about responsibility, creativity and the secret places beauty can live. 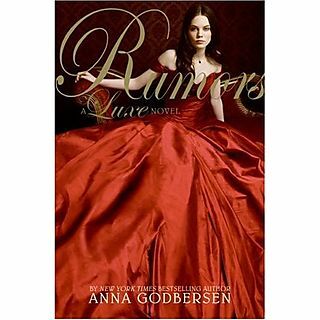 I loved this book, from start to finish. 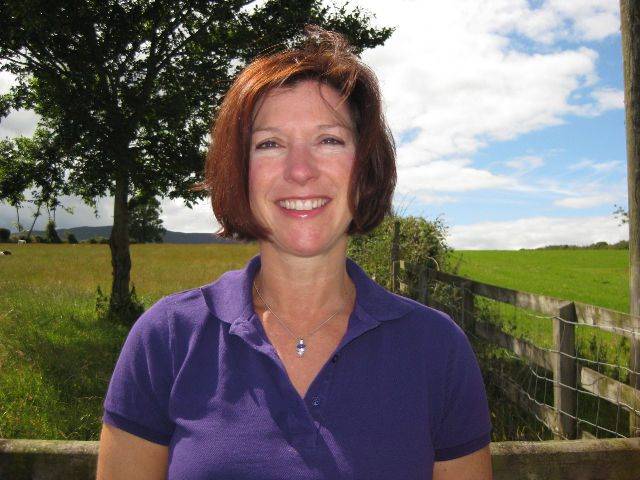 Debut author, Ann Haywood Leal, is a writer worth watching. Her novel addresses challenging real world issues (homelessness and poverty) in a way that is entirely understandable for children, without shying away too much from how scary the situation is for this family. Kids will grasp the desperate circumstances of Harper’s family, and no doubt be interested in seeing how this girl copes in such an unimaginable situation for most children. You’ll fall for this character, for the way she is an ordinary child and yet sometimes sees the world with a kind of wisdom and forbearance beyond her years. I enjoyed the way that Harper’s poems were scattered throughout the narrative. I’ve read numerous children’s books with main characters who are aspiring poets, and I think that Leal did a fantastic job creating poetry that could indeed have been written by a child. The poems read very believably – never overly refined and seemingly too adult in tone and style. There are several memorable secondary characters as well, particularly Dorothy, an older woman Harper meets early in the story and who has secrets that Harper does not discover until much later. Leal has a way with words that seems graceful and natural, never forced. She tells the story simply but with real care. Also Known as Harper has much to offer readers in its themes and would make an outstanding choice for literature circles in the classroom or book club discussions. I’m imagining conversations about hope and the way people judge each other. This narrative has a lot to say about compassion, feeling compassion for others even while you’re in a situation that deserves compassion as well. I was reminded of Waiting for Normal, although I thought Harper was a more believable character than Addie in Waiting for Normal, because while Harper was optimistic and hopeful, her strength was tempered by frustration and sadness too. 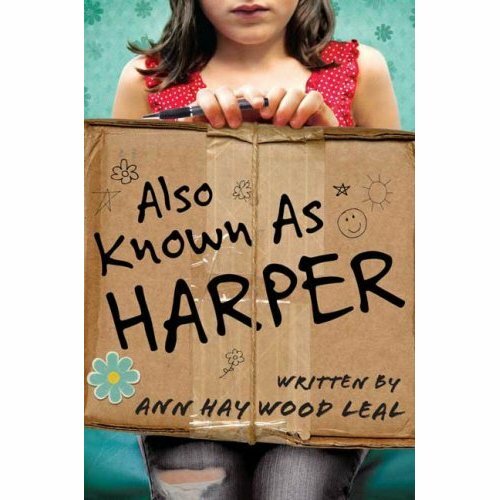 I plan to recommend Also Known as Harper to many, and I will be looking out for Ann Haywood Leal’s next books. Ann will be here soon for an interview, and I’ll hopefully be giving away a few copies of her book when she visits. Also Known as Harper is published by Henry Holt. This entry was posted in Class of 2k9, Middle Grade, Openmind on May 22, 2009 by shelfelf. Deadline offers readers a scenario that’s been done a lot in teen lit and in film. Main character finds out he has a terminal illness and has only a short time left. He decides to make the most of whatever time he’s got, and learns more about what it means to live fully than most people who get to stick around for a whole lot longer. This is the deal for high school senior, Ben Wolf. A routine cross country physical turns up the worst possible news: a terminal blood disease. Ben makes the choice to keep the diagnosis to himself, partly because he’s sure it will send his mentally-ill mother over the edge, and partly because he doesn’t want to go through his last year known purely as “that guy who is going to die.” He’d rather pass the days he’s got making the football time, driving his hardass conservative civics teacher crazy, and winning the heart of Dallas Suzuki, the girl he’s always wanted. While Chris Crutcher may be working with a theme that’s been done many times, Deadline never feels like a book you’ve read so many times before. You might be surprised by how funny a book this is. Ben meets his fate with as much humor as anyone possibly could. There are laughs in this book, lots of them, which is not something I had anticipated. Now I’ve read a lot of “teen girl with terminal illness” stories, and most of them didn’t make me laugh. Trained by said teen girl books, at first, I couldn’t get my head around Ben’s reaction to his situation. How did he not break down? Where were the tears, the anger, the shaking of fists, the curses? How could he just go to school and do regular teenage guy things? Well… because he had too many other things he wanted to do, and why waste time? Deadline is a book that asks the question, “What would you do?” It made me think. It touched on issues that teens should have opinions about: racism, child abuse, mental illness, and the education system. 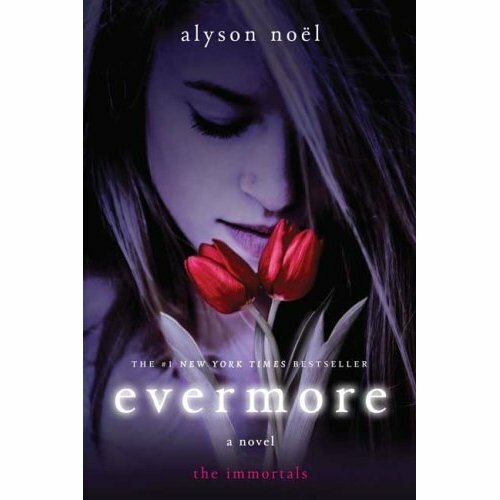 I liked this book a great deal because it moved beyond the typical “young life cut tragically short” story. I liked it in spite of the fact that I knew before I started reading that the main character was going to die, and also in spite of the fact that there were very long football scenes written with a whole lot of sports lingo that made me feel like I was reading a book in Latin. Another reason to congratulate Crutcher is that Ben does not reach the temptingly simple conclusion that Life is Beautiful. Instead, he recognizes that “Planet Earth is a tough town,” and his one wish for those he leaves behind is to risk. Reading Deadline will require tissues, don’t get me wrong, but you’ll put it down feeling like you’ve read more about living than dying. This post is cross-posted at Guys Lit Wire. 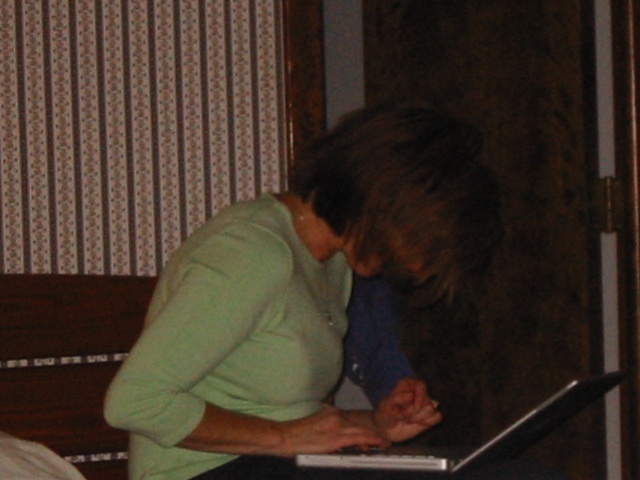 This entry was posted in General, Teen/YA on May 21, 2009 by shelfelf.